Has anyone ever asked you, What does an herbalist DO? It can be challenging to explain the multi-faceted life of an herbalist! Though herbalists work in the wellness field, herbalists are not doctors! In fact, in many areas of the world, herbalism is not a licensed profession. An herbalist may work in a clinical setting, sell herbal products as a business owner, grow herbs, write about herbs, or be a family herbalist who uses herbs at home. For any type of herbalist, even more challenging than explaining what an herbalist does can be navigating the legal, ethical, and logistical considerations of using herbs, when there are not a lot of guideposts available along the path. If you are searching for this guidance, we welcome you to join us in our Free Becoming an Herbalist Mini Course, a series of guideposts on your journey as an herbalist. 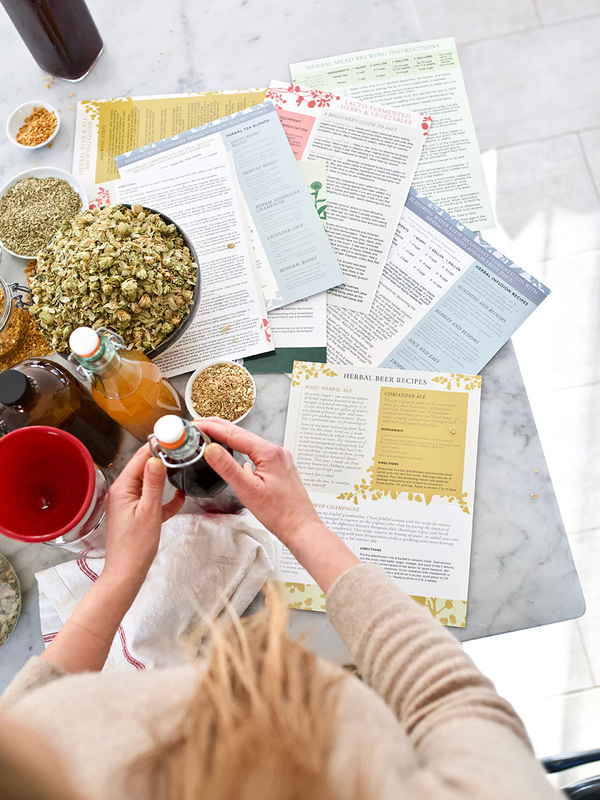 This exploratory course will inform and enlighten your herbal path – wherever it takes you! Choose to upgrade your free registration to get our 140 page Herbal Journey Planner, a printed version of this course complete with a 2 year calendar and bonus discovery activities and pages to guide you through your unique path as an herbalist! It’s common to begin your herbalist training with a particular career or personal goal in mind, but sometimes it can be difficult to start goal setting when you don’t have a good understanding of the options available to you as an herbalist! With the copious amount of information available on herbalism in this increasingly overly-saturated market, finding safe and secure guidance on how to get started is not always easy! Your list of questions may go on and on! 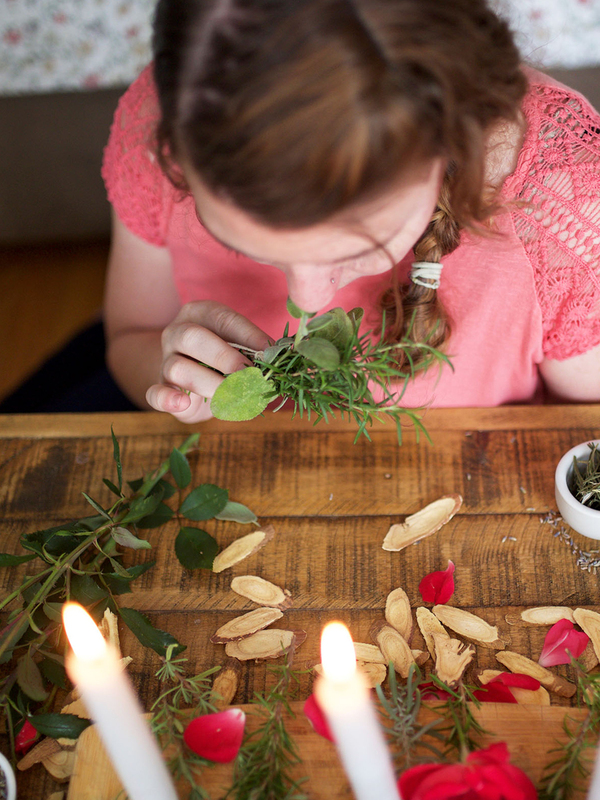 Let us assure you, becoming an herbalist doesn’t need to be a daunting task! The vast diversity of options for learning and practicing herbalism should bring you joy, not leave you feeling dizzied at the abundance of choices. So let us guide you through the journey of Becoming an Herbalist! In this FREE Becoming an Herbalist Mini Course, we will walk you through the many opportunities you have to pursue your herbalist path and training! Explore the directions you can take to become an herbalist including certification and licensure – both here in the US and internationally! Learn the language of herbalists, and how to use safe words that protect you from legal issues. Gain an understanding of the ethics of herbalism, the limitations you have as an herbalist, and important safety considerations to recognize – no matter what your education level! 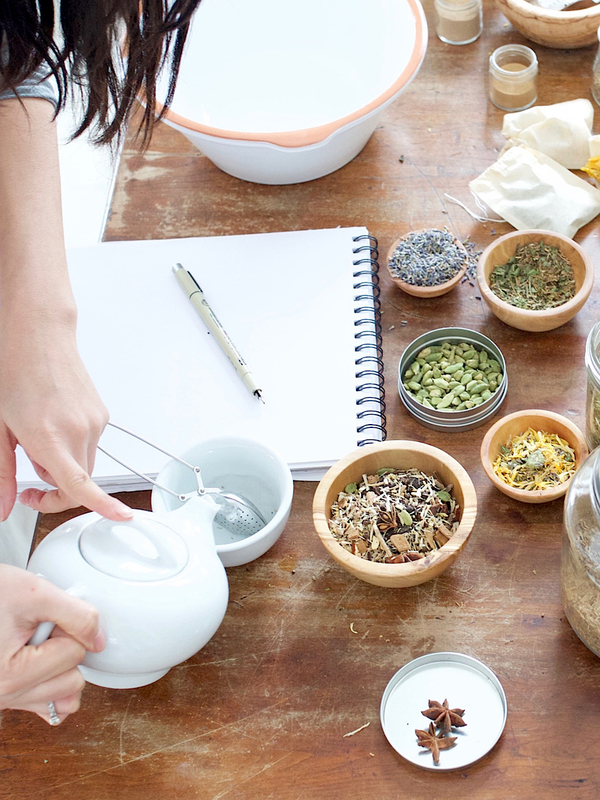 Discover solutions to common obstacles of running an herbal business. Finally, walk away with ideas to network with other herbalists, build community, and continue your herbal education. We’ll provide you with a number of interactive exercises to help you discover your own unique herbal path! Upgrade with the Herbal Journey Planner! The Becoming an Herbalist Mini Course is completely free! You will even get a PDF download of the course lessons so you can continue to use it as a reference after your studies are completed. As an upgrade option, you can purchase our Herbal Journey Planner which is complete with all the lessons from the course along with additional bonus discovery activities to help you gain insight and clarify your goals, calendars to keep yourself organized, and notes pages to write down all your herbal hopes and dreams. This 140 page Herbal Journey Planner will become an essential tool in your journey as an herbalist. Use it as a resource and keepsake for years and years to come! Lesson 1 looks closely at certification and regulation for herbalists and explores some of the educational options that are available to those interested in herbal careers. Learning about these important topics will help you begin to develop confidence and lay the groundwork for a career as an herbalist. In Lesson 2, we will take a look at the language that herbalists use – words you can and cannot use legally, regardless of education, due to the current state of herbalism as an unlicensed practice. While this topic is sometimes confusing for beginning herbalists, it is important to understand the appropriate use of language when talking or writing about herbs. 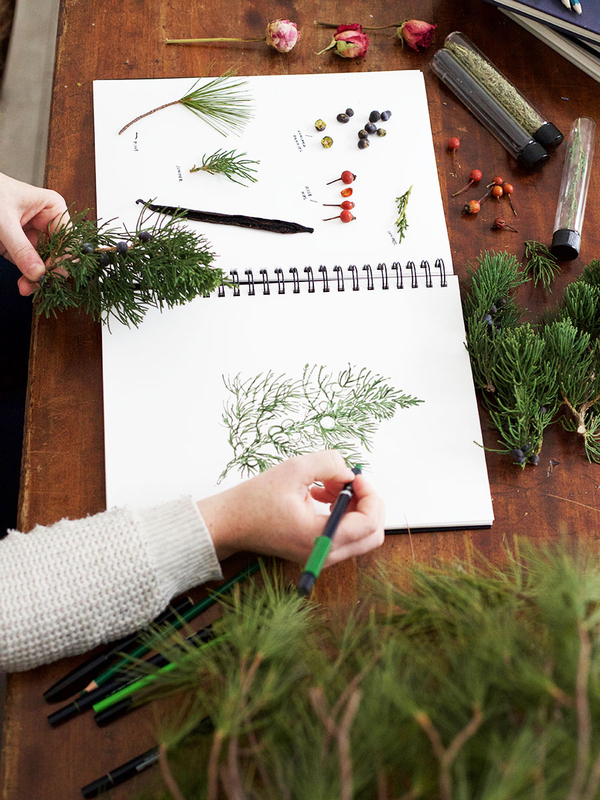 Lesson 3 dives deep into the ethical considerations of becoming an herbalist. We’ll give you the lowdown on scope of practice, confidentiality, informed consent, and full disclosure. For those interested in clinical practice, we’ll go over basic red flags, safety concerns, and referrals. Introducing yourself to these key concepts will continue to build your confidence in building an ethical and safe herbal practice. In Lesson 4, we will outline key aspects of starting your own herbal business and the many details that go along with each. Considering the diversity of options covered in this important lesson is an invaluable stepping stone to dreaming up an herbal business and writing a business plan. Lesson 5 discusses the importance of keeping your finger on the pulse of herbalism. The way that herbalists use herbs is constantly evolving, with new clinical research being published all of the time and practicing herbalists discovering novel ways of bringing balance to human physiology with herbs. Get inspired by all of the ways you can stay connected, network, and continue your herbal education in the last lesson of this free mini course! By the end of this course, you will be brimming with ideas on how you want to be an herbalist and the steps you need to take to get there. We hope that the exposure to so many important herbal considerations (some you may have not even thought about!) inspires you to continue growing as an herbalist and that the groundwork we have provided is a foundation for your confidence as you step forward on your herbal path. Don’t delay registering for this free course! Scroll to the top of the page to enroll!